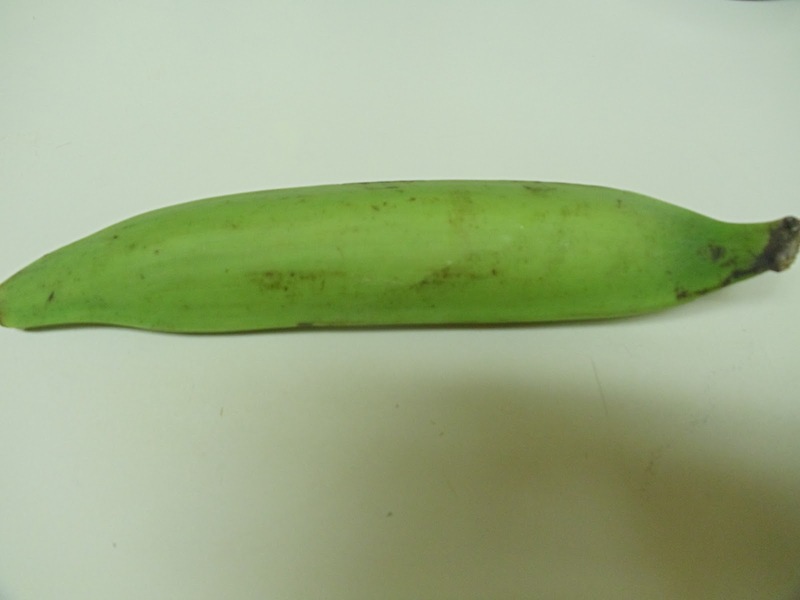 Kyane in konkani means banana. Harve kyane means raw banana. 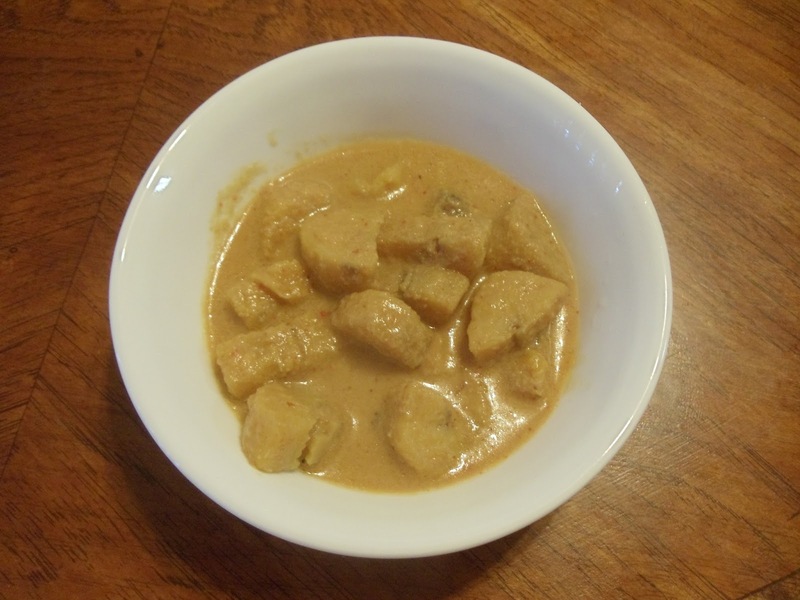 Kyane koddel is a very simple konkani dish with garlic seasoning. Raw banana is available through out the year hence, can make this dish anytime of the year. Wash the banana and trim its edges. Then start removing its peel carefully. Once the peel is removed completely, chop it into desired shape and size. 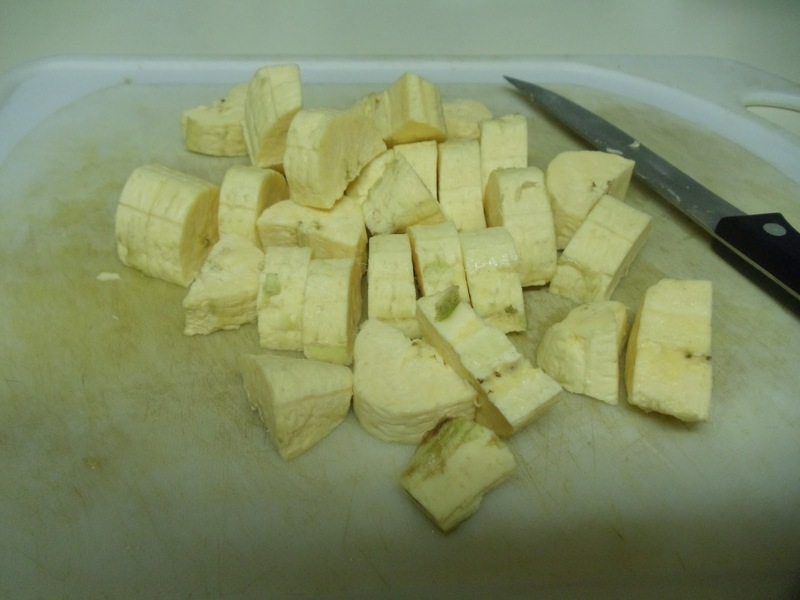 Now cook the banana pieces in a dish with salt (to taste). This might take 15-20 minutes. Keep checking in between, in order to prevent the bananas from getting overcooked. In the meantime, prepare the masala. For masala- Grind the coconut, red chillies and tamarind with required amount of water, to get a fine paste. (if by chance, you have added more water for cooking bananas then transfer the excess water to a small bowl. You can use it later, if required). Now add the masala to the cooked bananas and bring it to a boil. Adjust the consistency of the gravy (I made it medium thick). Once it comes to boil, continue heating for 4-5 minutes and turn off the heat. For seasoning- Crush the garlic pods and add it to the heated oil. Fry it until it turns light brown. Add this to the prepared gravy. Mix well. Kyane Koddel is ready! !